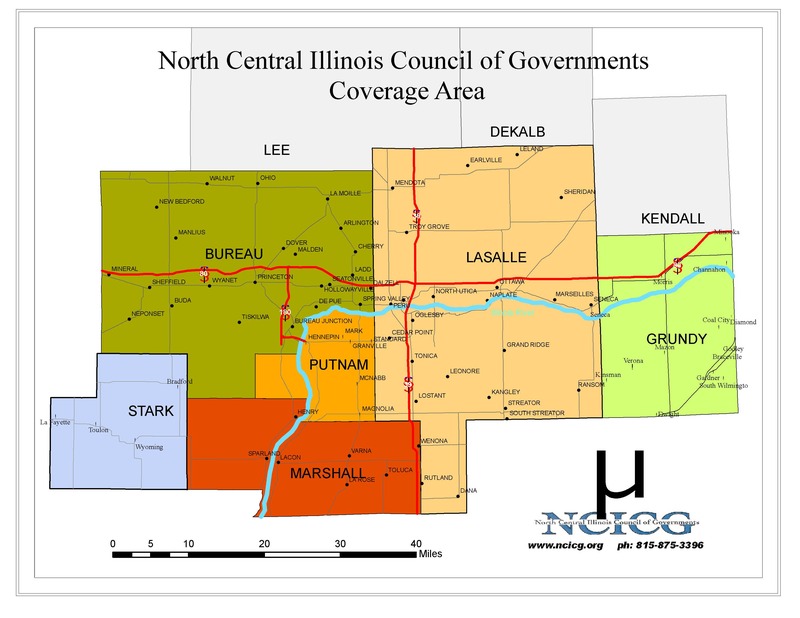 In addition to offering grant writing and administration services, North Central Illinois Council of Governments (NCICG) offers traditional planning services to counties, townships, and communities. 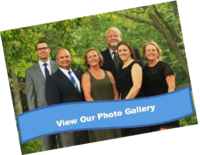 These services include preparing or updating comprehensive (land use) plans, zoning ordinances/regulations, and subdivision ordinances/regulations. At any given time, NCICG is involved in multiple planning projects. Listed below is a list of ongoing and completed projects that NCICG has been contracted to complete. The City of Oglesby in LaSalle County has completed the process of updating their Comprehensive Plan. Putnam County is currently finishing the process of updating their Comprehensive Plan. The Village of McNabb 2010 Zoning Ordinance Final Draft is complete and available for viewing. The Village of Hennepin in Putnam County is currently re-codifying their ordinances. An Economic Development District has been designated and funded by the Economic Development Administration (EDA). Designation of the District was received February 2005 and funding for the District was received from EDA in October 2006. NCICG administers the Bureau/Putnam Area Enterprise Zone that targets growing businesses with financial assistance and other state and local incentives. 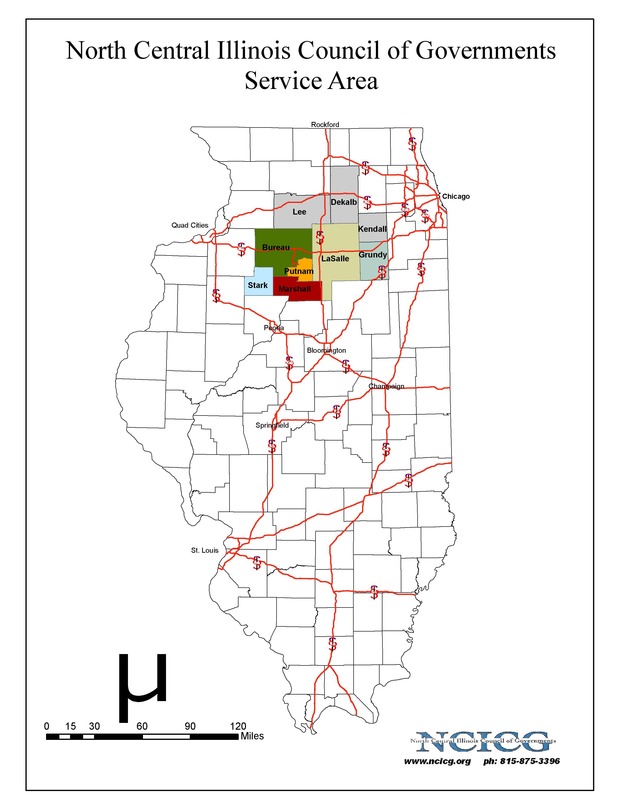 NCICG administers the Marshall County Enterprise Zone that targets growing businesses with financial assistance and other state and local incentives. NCICG recently completed updating comprehensive land use plans for the Village of DePue, the Village of Coal City, and the City of Marseilles. NCICG partnered with Ginko Planning and Design of Orland Park, Illinois to update the City of Ottawa’s Comprehensive Plan. NCICG recently completed a multi-jurisdictional Natural Hazards Mitigation Plan for the Counties of Bureau, LaSalle, Marshall, Stark, and Putnam Counties.